The 40.5mm Sion UV Filter from Vu Filters is a general use, clear filter designed to absorb ultraviolet light and reduce the bluish cast of daylight. Aside from the reduction of unwanted blue casts, no additional coloration or contrast is created, and adjustments to exposure are not required while using this filter. To prevent internal ghosting and reflections, each glass surface is multi-coated. These coatings offer greater protection to the filter substrate, further enhance its ability to limit UV, and help to ensure color fidelity. The Flat Wave Overcoat associated with this Sion UV filter provides an additional layer over the multi-coatings, resulting in an improved beading effect to repel water for greater cleaning efficiency. Sion UV filters are constructed from Schott glass with a black rim. 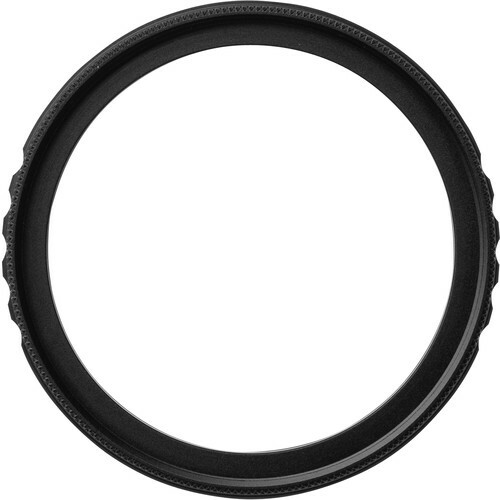 Set within an aluminum-alloy filter ring that is durable while remaining lightweight, the glass provides increased clarity as well as color fidelity while the black rim further ensures that reflections do not occur along the filter's edge. The filter ring is also weather-sealed, which contributes to this Sion UV filter's ability provide general protection for a lens at all times. Such filters help to reduce dust and moisture from reaching your front lens element and provide additional protection in case of drops or situations where scratching could occur. Multi-coated to further limit UV, prevent internal ghosting and reflections, as well as to ensure color fidelity. Box Dimensions (LxWxH) 3.4 x 3.4 x 0.5"
40.5mm Sion UV Filter is rated 3.0 out of 5 by 1.